Thank you for the privilege of serving as your representative. It’s an honor. A big part of my job is listening to your ideas, comments and questions—and keeping you informed about issues important to all of our families and neighborhoods back home. This week, I’d like to talk to you about an issue that affects all of us, every day: transportation. The transportation network is our state’s circulation system. We can’t function without it, just as we couldn’t function without great schools and universities—our state’s nervous system and brain. Transportation is a vital issue because it affects every single person, community and business in the great state of Washington. Here at the Capitol, I serve as Vice Chair of the House Transportation Committee, and one of my goals is to make sure you can get where you need to go, whether it’s by car, bus, train, ferry, bicycle or on foot. I’d like to give you a quick update on four new transportation reforms I worked on that passed this session. 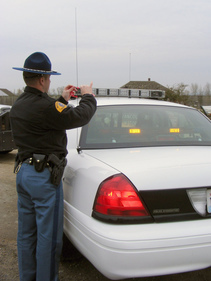 State Troopers are essential for protecting our families on highways in every corner of our state. Yet we were losing troopers on two fronts, with a wave of retirements from senior troopers and younger troopers recruited by other law enforcement agencies offering higher pay. In 2016, I prime sponsored HB 2872 which passed the legislature and created a new salary formula to keep the Troopers pay competitive with the other agencies that were actively recruiting them. The salary formula was a success, resulting in less Trooper resignations and more recruits. To compare, in 2015, there were 45 Trooper resignations and only 30 new recruits graduated to replace them. Fast forward to 2017, after the salary formula was implemented, there were only 5 resignations and a total of 87 recruits graduated. The salary formula; however, was only good for one biennium so this year I introduced HB 2692 which extends this competitive salary formula for 6 more years. HB 2692 passed with bi-partisan support and ensures that the State Patrol continues to stay competitive with its peer agencies allowing for the recruitment and retention of the best Troopers possible. Commuters who cross the Tacoma Narrows Bridge have continued to see the toll fees rise over the last few years. The rising toll costs can be attributed to the Narrows Bridge’s financing plan, which required debt payments to escalate over time. Drivers who already pay $5 to $7 to cross the bridge, were facing a series of toll increases starting next July. I found this unacceptable and my colleagues agreed. 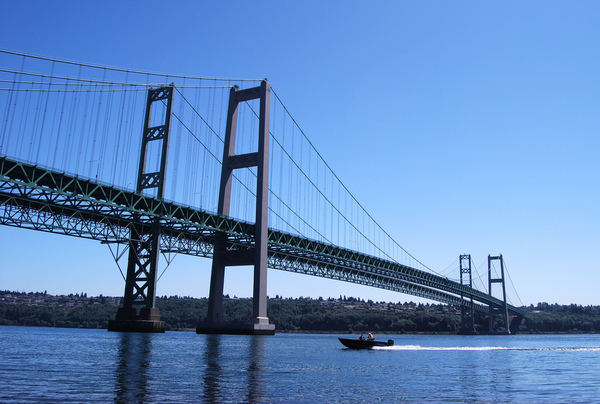 This session, the legislature voted to pass my bill, HB 2990, which includes an $85 million loan to freeze tolls on the Tacoma Narrows Bridge until 2022. This legislation also ensures that tolls are increased by a maximum of only 25 cents after 2022. Mass transit plays a key role in removing stress from our highways and mitigating carbon emissions so it’s important to look for ways to improve the transit user experience. This session, I worked to have $300,000 included in the 2018 Supplemental Budget, to fund digital signage for Pierce Transit, with live alerts on bus arrivals and departures at Tacoma Community College, the Tacoma Mall, the Tacoma Dome and other transit centers throughout Tacoma and Pierce County. Multiple studies have indicated that when real-time departure information is available to transit riders, perceived wait times are reduced. Abandoned recreational vehicles are a growing problem in our state. When an RV is abandoned on public property, they are impounded by law enforcement agencies who direct Registered Tow Truck Operators to haul them away. These RV’s often end up stuck at tow storage yards because they have no monetary value and are unable to be safely deconstructed and transported to solid waste disposal facilities. Many of these tow truck operators are run by small business owners and the cost of hauling and storing these RV’s can become a significant financial burden for them. Currently, there are over 2000 abandoned RV’s sitting at towing storage facilities across the state. Many of them were used as meth labs and are contaminated with hypodermic needles, drug paraphernalia, human waste, decomposing rodents and other biohazardous material. This session, Senator King and I introduced a set of companion bills, HB 2925 and SB 6437 to address this issue. This legislation would implement a yearly $6 fee to be placed on RV vehicle registration which would go towards an Abandoned RV Deconstruction and Disposal Account. Funds from this account would be used to compensate Registered Tow Truck Operators for the cost associated with the disposal of the abandoned RV’s they are ordered to impound. The new law also expand the number of locations available to properly dispose of RV’s. Thanks again for taking the time to read this and be an informed citizen. What do you think? I’d like to hear from you. You can reach me by calling my district office at 253-593-2022 or you can email me at jake.fey@leg.wa.gov. If you’d like a chance to talk to me in person, my seatmates and I are holding a 27th LD Conversation hour on Tuesday, May 1st from 6pm to 7:30pm at the Bay Terrace Community Room at 2550 South G St., Tacoma, WA 98405. Can’t make the Conversation Hour? Join our Tele-Town Hall on Tuesday, May 8th at 6pm.